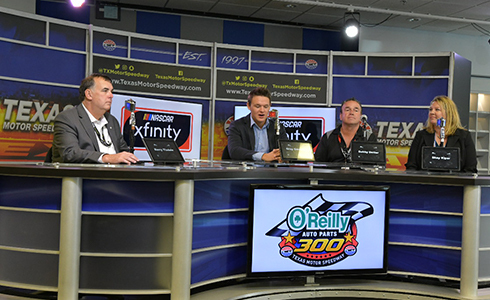 Gray Gaulding, NASCAR Driver and PURE Independent Business Owner (IBO), announced his plans for the 2019 season and partnership with PURE: People United Reaching Everyone at a press conference on Friday, November 2, 2018 at Texas Motor Speedway. Gray Gaulding, SMG (Standout Management Group, Inc.) driver, unveiled the Number 08 Chevrolet Camaro at Victory Lane at Texas Motor Speedway in Fort Worth, TX. The car will compete for wins in the 2019 NASCAR Xfinity series. PURE will join the Number 08 Chevrolet team for the entire Xfinity season and select Monster Energy NASCAR Cup Series races throughout 2019, debuting at the Daytona 300 next February.